“Placement” is a great keyword for the graduate-school enterprise. For one thing, its meaning certainly gives a purpose to graduate education. Furthermore, the word is a portal into our way of thinking about the success or failure of what we do. Nathan P. Tinker, who earned his Ph.D. from my own department, offers a prime example of what I mean. Tinker received his Ph.D. in English 10 years ago. He started out doing communications in a public-relations firm, and then moved to a PR company that focused on technology. From there he specialized further in nanotechnology, and went on to found a start-up trade association for nanotech companies. Nanotech then provided a segue into biotech, as he took a position with the Sabin Vaccine Institute to help promote its search for cancer vaccines. After a few years, Tinker moved in 2007 to his present position as executive director of the New York Biotechnology Association, a nonprofit trade group for bioscience and life-science companies in the state. All I knew about Nathan Tinker between 2002 and this year was a brief notation in my department’s placement records. That entry states simply that he “did not seek academic employment.” So I used LinkedIn to contact him and learned the impressive details. How many cases are there like Tinker’s, in which a department knows little or nothing of the extramural achievements of one of its own graduated Ph.D.’s? I’m guessing plenty. That’s why I used an example from my own workplace. To do otherwise would single out another department for doing something that just about all of us have done. Second and more important, losing track of Nathan Tinker is a conceptual mistake. We dropped the thread because it didn’t seem to matter to our mission. The longtime absence of Tinker’s employment from our records clearly shows what placement means in the academic workplace—and what it doesn’t mean. And if we look more closely, we can also see what it should mean. Graduate schools count academic (that is, professorial) placements more eagerly than any other kind. And why shouldn’t they? The practice reaches down to the roots of the enterprise. Consider that academic placement drives the graduate-school rankings that matter so much to everyone. When the National Research Council tabulates the rankings of departments, it is explicitly looking for records of “placement in academic positions (including academic postdoctoral positions),” and those placements alone help to determine the order of those pernicious lists whose effects ripple outward through our professional public square. So a graduate-school dean who speaks sincerely about the need to encourage alternative academic careers still has to devote the bulk of her resources to help graduate students get the academic jobs that will bolster the university’s NRC ranking. How might that requirement be changed? Well, it turns out that the path leading from the definition of placement to the National Research Council’s questionnaire results that determine graduate-school rankings, and from there to the institutional behavior that arises from those rankings, is circular. Let me explain. The NRC’s criteria for ranking graduate schools originate in the organization’s Committee to Assess Research-Doctorate Programs. That committee, made up mainly of present and former deans, provosts, and other administrators, followed a commendably open process laid out in its 2009 Guide to the Methodology of the National Research Council Assessment of Doctorate Programs. The committee first made up a draft questionnaire that it showed to a panel “consisting of graduate deans and institutional researchers.” That group made suggestions, and then the next draft was posted on the NRC’s Web site, which led to more suggestions. Then the questionnaire was finalized and distributed. So who determines the definition of placement that directs—and also constrains—the work of graduate deans? None other than their fellow deans and administrators. The problem is embedded in the foundation of the edifice itself. (Want to complain? Contact the NRC. Reform therefore depends upon a more self-conscious definition of the word “placement.” It should mean the jobs that graduate students want—not just the academic kind. A broader definition would overturn the common assumption that a Ph.D. is a pipeline leading to an evaporating pool of academic jobs. How do advisers know what kinds of jobs their graduate students want? By asking them, and then by periodically asking them again, to see if the answer changes over time. That’s part of good graduate advising. It’s only common sense that teachers need to prepare students for the work that they can get. To shape their desires so that academic jobs are the only ones that they want does them a serious disservice. Or we might say it’s just bad training. But that’s exactly what happens when we accept unquestioningly the traditional meaning of placement. Successful placement of graduate students has never been harder these days, and not just because the academic job market is a mostly dry well. As recent graduates know, the nonacademic market isn’t exactly overflowing, either. But we owe it to our students to expand our view of placement. Law schools have been hotly debating that very issue since the financial crisis and the recession clamped down suddenly on the market for young lawyers a few years ago. “The Classes of 2009 and 2010 were simply screwed,” one law professor told me. They expected jobs to be waiting for them, he said, and they felt betrayed. Some disgruntled graduates have even taken their alma maters to court, charging breach of promise. It’s not clear whether such suits have any merit, but they do spotlight the question of obligation. It’s been a long time since new Ph.D.’s could feel assured of a job after their graduation, but what professional obligation should professors have to them? There remains a particular lack of concern for the prospects of Ph.D.’s who don’t fit the traditional academic model, and it’s reflected in the way that we track—and don’t track—their placement. We have a lot to learn about how to orient graduate students toward alternative academic careers. It’s a subject that’s going to stay before us—as it should—and it’s one to which I will surely return. But we already know how to find out what our graduates are doing. In fact, with the availability of social media, it’s never been easier. So we have to track placement in a way that makes realistic sense. The best reason to do so is simply humanistic: These are the lives of humans we’re tracking, not just professors, and they deserve to be taken seriously. 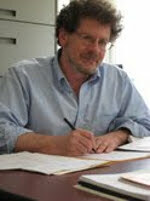 Leonard Cassuto, a professor of English at Fordham University, writes regularly about graduate education in this space. He welcomes comments, suggestions, and stories at lcassuto@erols.com. He may be found on the web at www.lcassuto.com. This article was originally published in The Chronicle of Higher Education, April 9, 2012. Previous Previous post: You’ve Got Mail. And Better Things to Do.